Judge Baltasar Garzón. Photo by Richard Bermack. 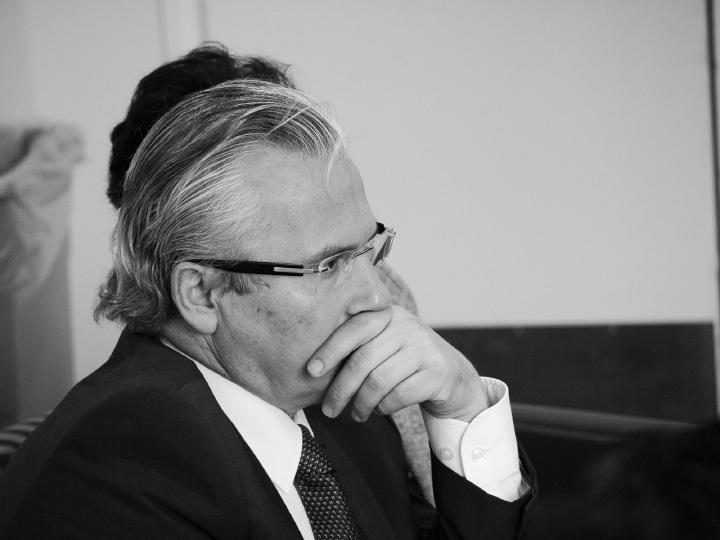 Judge Baltasar Garzón, recipient of the first ALBA-Puffin Award for Human Rights Activism last May, has accepted a special assignment from the Organization of American States (OAS) to work on the peace process in Colombia. As Special Advisor to the Mission to Support the Peace Process (MAPP), he will coordinate the reconciliation between former paramilitary and their victims, a key aspect of the transition process. The MAPP, created in 2004, supervised the demobilization of 31,000 paramilitaries from the United Self-Defense Forces of Colombia and is now focusing on safeguarding the peace process as well as victims’ right to truth, justice, and reparation. Garzón will also spend part of the fall semester in Seattle, Washington, exploring possible future collaboration with the Center for Global Justice at the University of Washington Law School and the Center for Human Rights located in the Jackson School of International Studies. A year and a half after his suspension from his post at Spain’s national Criminal Court, it remains unclear whether Judge Garzón will ever return to the bench in Spain. While the country weathers a severe economic and political crisis—early elections have been called for November, with a widely expected right-wing landslide—none of the three cases pending against him at the Spanish Supreme Court has made significant headway. The snail’s pace of Spanish justice seems to confirm the suspicion of many that the courts have Garzón precisely where they want him—in a judicial limbo and suspended from his post. If and when the actual trials begin, the whole world’s attention will turn to the astonishing list of irregularities that has characterized the persecution of Garzón. The three cases are widely considered to lack legal merit and to have been brought primarily as a tool for the Spanish judiciary to rid itself of Garzón. The judge is charged with overstepping his judicial authority when he initiated an investigation into crimes against humanity committed under the Franco dictatorship; violating defendants’ rights when ordering wiretaps in an investigation of corruption involving the conservative Partido Popular; and dismissing a case against a Spanish bank, deemed meritless by government prosecutors, because the bank, months before, had sponsored a series of colloquia in which Garzón participated. He has been suspended since May 2010.